A county property lien search can begin a couple of ways. You can perform this online, which is the easiest way to get started, or in person at the county court house or the county clerk’s office where the property lien records were filed. Often times county property liens are the result of unpaid taxes, an unpaid mortgage or unpaid HOA fees. There are of course other types of liens that might be placed on a property such as from an attorney or a mechanic or other unpaid financial obligations. A property tax lien record is among the most common type of county lien records. 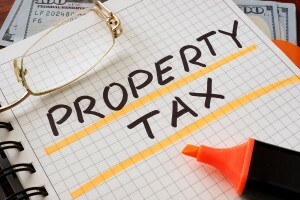 A property tax lien is imposed to secure a payment of property taxes that are overdue. Tax liens can be imposed for taxes that have not been paid on real property or personal property. This can also be the result of failure to pay income taxes or other types of taxes due to the county, state or federal government. To perform a county property lien search because of unpaid taxes you will have to contact the relevant government agency to resolve this. A good place to start is the county clerk’s office. An HOA lien, or Home Owner’s Association lien, can be placed on property because of unpaid HOA fees that are overdue. These can be resolved by contacting the relevant HOA or lien holder. Attorney lien are the result of unpaid attorney fees that can leave your assets or property subject at risk. These type of liens can be resolved by contacting the relevant attorney or lien holder. Liens are the result of unpaid debts and services where the lien holder has the ability to seize property and assets according to the law. Lien records are public record via the Freedom of Information Act of 1966 and can be accessed online by anyone. A lien can be removed if the debt is payed off and the lien holder signs off on it. If you think you might have a lien then you can view this information online. Fill out the form on the top of the page to begin. Thanks for reaching out. I would be happy to assist you with a mechanics lien search. I would need the first and last name and state of residence and I can look this up for you. We also have a multitude of other lien records such as; property liens, irs liens, tax liens, personal liens, hoa liens and more. We can lookup a specific property lien if you have a name or address we can search. Unfortunately we don’t offer listings for properties with tax liens. Please let us know if there is a specific property in mind and we can lookup the lien records for you. Unfortunately we don’t have this county property lien record in our database. You can also contact the Pitt County Registrar of Deeds in North Carolina. They manage the property lien records and deeds for Ayden N.C.